Can we build a floating cabin home style houseboat? 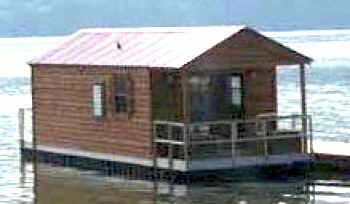 A sampling of a floating cabin style houseboat. We're interested to build a small floating home, cabin style houseboat? Can we take a small wooden building and transform it into a houseboat? We have a 12' x 24' wood frame building that is built about 4' off the ground on cement blocks.. (it floods here periodically). It was built here on our property about 5 years ago. The exterior walls are exterior grade plywood panelling, a tin roof, sheet rock inner walls, wired for electricity and well insulated. The building is in excellent condition, as we've kept up with maintenance and it was used as a small studio for a few years. My husband and I are interested in knowing how difficult it would be to turn it into a small houseboat. Since the foundation is raised off the ground, it seems it would be easy enough to get under it to construct some type of floatation. I don't recall the sizes of the floor and underjoists, but the construction is subtantially better than just a storage shed. Where would we start in finding info for this venture? Would it be cheaper, less hassle to start from scratch or is the pre-existing building a good start? Well Candace & Bo, the possibilities are endless, and you may find the that Priscilla over at www.horsebarnauction.com/floating.htm may have some ideas for you. You can always call her since see can possibly make you an appropriate floating hull for you. As to whether you're building is suitable, or if it is better to start from scratch, that is impossible for me to say from here. You may also want to contact the US Coast Guard in your jurisdiction to find out about approvals, licenses, or regulations. If you do get it all together and out on the water, do take a picture and share a short story with us all, as I am sure all our readers would love to read about the details. 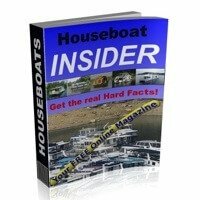 Lastly, hopefully some of our readers will share and post comments about their floating cabin houseboat style building experiences. Feel free to use the "Click here to post comments." link found near the bottom of this page. Comments for Can we build a floating cabin home style houseboat? Unfortunately, we will not be having that section for the time being. 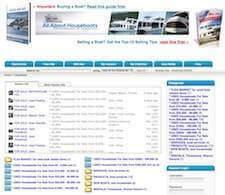 Do you or will you have a house boats for sale section ? I'm trying to build a houseboat with reclaimed timbers and boards. I'm wondering about weight of timbers, and appropriate flotation of antique wood? Has anyone used antique wood, and is it possible to leave in the lake over the winter in Nova Scotia? We are currently building a small houseboat on plastic drums here in Louisiana. 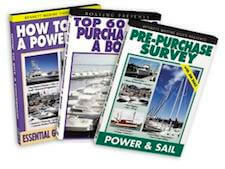 The only way you will need Coast Guard certification is if you will be a powered boat. If you are not motorized, you need not get the Coast Guard involved. Of course, you will have to have an approved MSD (Marine Sanitary Device) that is government approved. You can also circumvent this requirement by just having a sewage tank. This way you don't have to spend a huge amount of money (at least for us the cost was huge) on a treatment system. Just show up occasionally with another tank, pump your houseboat's tank into it and bring it to the nearest marina to dispose of. Be sure to check with local and state permitting to make sure you have those bases covered. You were given excellent advice about corresponding with government agencies via email. This will provide you with documented evidence of what each agency told/wrote to you. My comment is also a question. We have built a cabin on floats. We plan to put it on our 24 acre pond. We are trying find the best way to launch it. Craning it into the pond is cost prohibitive. We are considering building a custom trailer to fit the I-beams between the floats or using rails to slide it into the water (it is 30 ft off of shore). Can you use Styrofoam for the flotation? Be very careful. 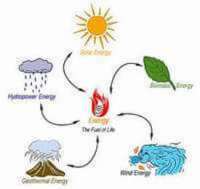 I would send letters or email to every government agency in your area. Do not call, you can use an email in court. If you tell a judge they told me this he will not believe you if you show a email it proves what you have said. Save their written responses. Get every permit. I bought property with existing houseboats and the State of Washington is now suing me and I have spent $25,000 in attorney fees. I truely value the time I have spent with friends and family on the water, your home is your vacation. Buy land so you control your life not some landlord that might need to move a relative there or sell the place because you have fixed it up. Extreme environmentalist control Washington agencies. If I lose, I plan on selling everything and moving down south where the laws are balanced. Margie, I have so often wished I could come up there and get to personally see all those beautiful floating homes! Up here in coastal BC, float cabins are quite common. Historically they were used as fish camps and logging camps. Here on Powell Lake there about 200 float cabins that are used primarily for recreational purposes, but we have chosen to live in our almost year round. Ours is built on a cedar log float. The huge logs last a very long time. Additional flotation is provided by plastic barrels and cubes. That brings the logs higher above the water line, allowing them to dry out, especially during the summer months. There are also cement and steel welded floats, but much less common in our area. Once the float is finished with the construction stage, a deck is built. Then a traditional cabin is constructed on top. I know of a few that have land cabins that have been installed on a float. I get IRKED when people are simply trying to be creative and have good clean fun (make houseboat) and the first thing you have to hear is, sadly, "well... we have to tell you that you need to contact the coast guard, and regulations this and regulations that...". PHOOEY! I know, its how it is, and I understand. BUT... you need to COMBAT this with a little strategy, I think. How's this scenario? Rollingbarge.com sells small and large floating docks... that just HAPPEN to already be licensable, legal boats. They ALSO sell ferry barge type docks, made to carry TRUCKS across bodies of water, and are again legal boats. NOW THEN, if you are legal to carry a full size TRUCK across a body of water, well, then you can simply have nearly ANY cargo weighing thousands of pounds, yes? Of course. Your legal cargo carrying boat can carry any cargo you want. AHEM... what if your cargo just HAPPENED to be a shed? What if your cargo was, of all things... a small office trailer you bought used off your boss? Building a floating platform for a houseboat? I don't have a comment I want to ask a question. How do you build a floating platform that you could use for a houseboat? Well Billie, you can build a barge style hull, or a pontoon hull, or you can use plastic barrels, depending on the level of floatation that you need. Thank you so much for your compliment on my Floating Cabins! I just spoke to Don Hevener. He and his Dreams In Motion crew are transporting a huge houseboat to a WestVirginia port to be shipped to Europe. He has contracted over a dozen overseas shipping transports in the past year! That's intresting isn't it...he says that customers come to the U.S., purchase houseboats, ship them and still pay less than over there! Priscilla, we lived on our houseboat at Joe Wheeler Marina for several years. I worked with "Pirate" (Ed Orton) on occasion. Don transported a few boats for us. Good guy. Like your product!! Correct about Marine Code and Safety Rules! Old Houseboater! I agree with your comments! 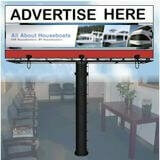 Was surprised to read your suggestion to contact the Guntersville Alabama folks who have the floating condo's! I was contracted by them and built their last three. You from Guntersville? We may know each other! Priscilla. Candace & Bo ........Build your Dream! Thank you Ian for referring Candace to me for answers to her questions. I would be glad to share with them facts and advice on building their "Floating Dream"! The first issue is, where will they float it? If it is a private lake then they could indeed put floatation under their existing building. But..........if not, the Floating Cabin would have to be certified by the U.S. Coast Guard as a houseboat. It would have to be built to Marine code which consists of many different construction, wiring, plumbing and of course safety rules. Ian, my partner Don Hevener (Dream Machines) and I will have a booth at the next HouseBoat Expo in Louisville! It will be the Floating Tiki Island that I build... (Booth Y) please come by and visit us, I look forward to meeting ya'll! It's very possible to install your existing structure on a suitable hull and create a houseboat. 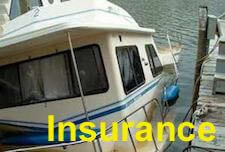 The hard part is to make it meet regulations, obtain insurance, and find a place to moor it. There are a number of commercially available house boats on Lake Guntersville Alabama (your picture seems to be one of those) that reflect your intent. It might be a good idea to contact these people for their advice. It's a shame that we are so restrained by laws and regulations that creativity is stifled. Keep us informed of your progress.